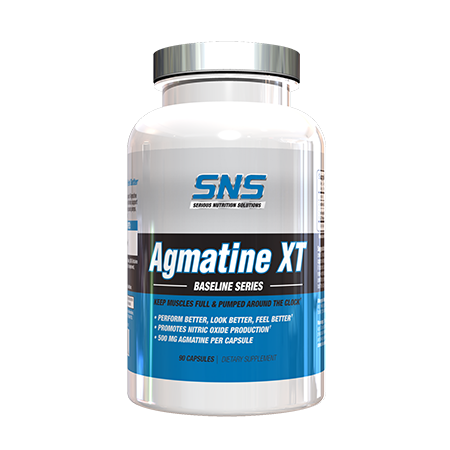 SNS Agmatine XT Caps provide 500 mg. of Agmatine per capsule. 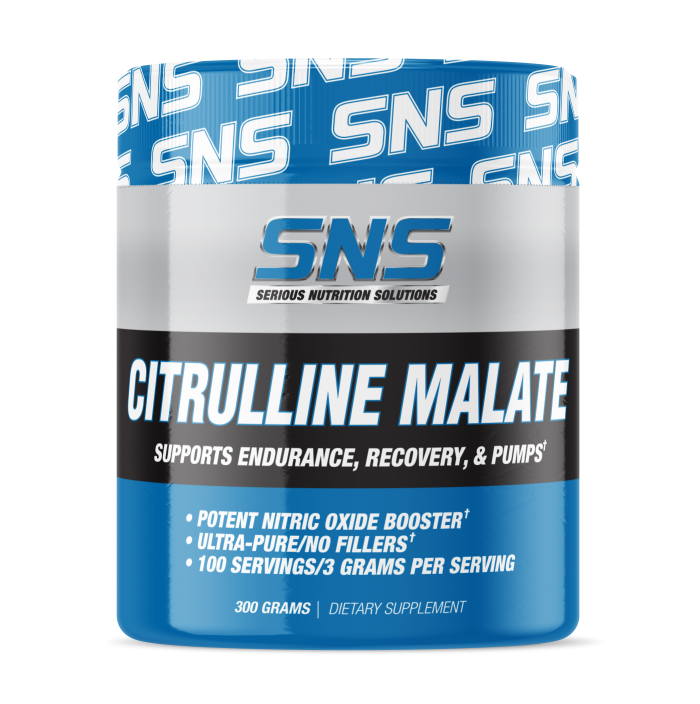 Agmatine is a byproduct of the amino acid arginine, but goes well beyond arginine in terms of benefits. 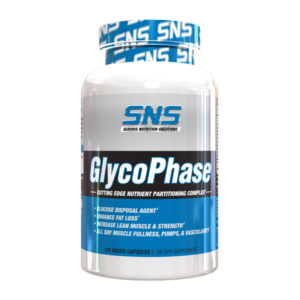 Agmatine works through stimulating the release of pituitary hormones and also through stimulating the release of nitric oxide by acting on Nitric Oxide Synthases. Agmatine is commonly used for a wide variety of benefits, but is probably most talked about for its role in providing dramatic, long lasting pumps. Many people thrive off of the feeling of achieving a better pump in the gym, and also appearing more pumped and vascular outside the gym. Not only does Agmatine deliver in terms of improved pumps, but most users also report that the pumps achieved with Agmatine are more sustained and long lasting than with many other nitric oxide products. And, while the performance effects of improved pre-workout N.O. levels may remain debatable from a performance perspective, Agmatine has much more to offer than just this one benefit. 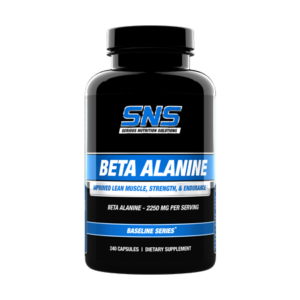 As a matter of fact, you could almost consider walking around with full, hard, pumped muscles simply a nice side effect of Agmatine supplementation when compared to some of its other benefits. 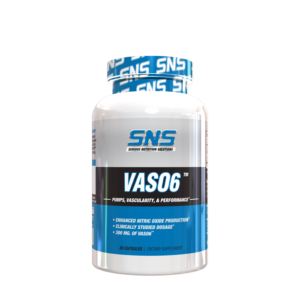 SNS Agmatine XT can be stacked with SNS VASO6, Creatine, Citrulline Malate, Focus XT, X-Gels, or a variety of other SNS products for improved synergistic results. As a dietary supplement, take 2 capsules one to two times per day. On workout days, take 2 capsules approximately one hour prior to working out. A second dose if desired can be spaced out evenly throughout the day. On non-workout days, take one serving in the morning and another serving if desired can be spaced out evenly throughout the day. Not manufactured with yeast, wheat, gluten, soy, milk, egg, fish, shellfish, or tree nut ingredients. Produced in a GMP facility that may process other ingredients containing these allergens. This product is intended for healthy adults over 18 years of age. Do not use this product if you are pregnant or nursing a baby. Always consult a physician before using this or any dietary supplement, especially if you are taking any medication or suffer from any health condition(s). Keep stored in a cool, dry place away from children and animals.